Those of us in the creative industry enjoy a freedom unlike many professions that have formal codes of practice. Not only do we lack stringent rules to follow but in fact are often encouraged to dare to break with convention! One thing we do have in common with many other professions is that the user (in various forms – client, patient, audience, student etc) is at the centre of our work. And if we are indeed creating for another’s experience, surely we must accept some responsibility for how our creation shapes that experience? As conduits for ideas and messages, we must first interrogate their merit and accuracy and then also consider the possible interpretations of them. One of the best examples where irresponsible design has had disastrous effects is election time. There are several tales of how confusing ballot design has misled voters and produced results that have compromised the electorate’s trust in the democratic process. So when it comes to encouraging people to live more sustainably, what responsibilities do those who work in the creative industries hold? With sales of green and ethical products and services soaring, companies are keen to capitalise on emphasising these features. 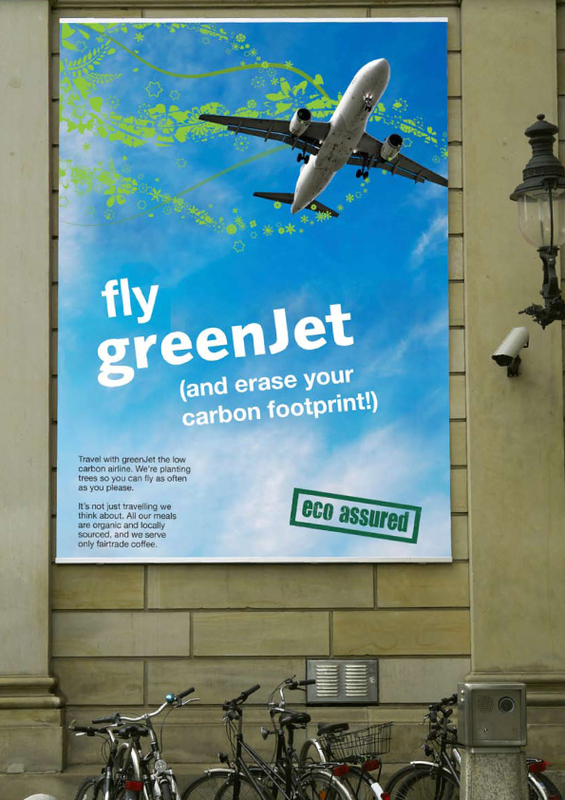 But with more and more advertising out there implying or claiming to be green, sometimes misleadingly so, consumers are becoming more and more sceptical as to the validity of such claims. The danger is that these consumers may consequently become disengaged with the green and ethical market altogether thus sabotaging the environmental movement within business. Put succinctly, “greenwash destroys the very market it hopes to exploit”. 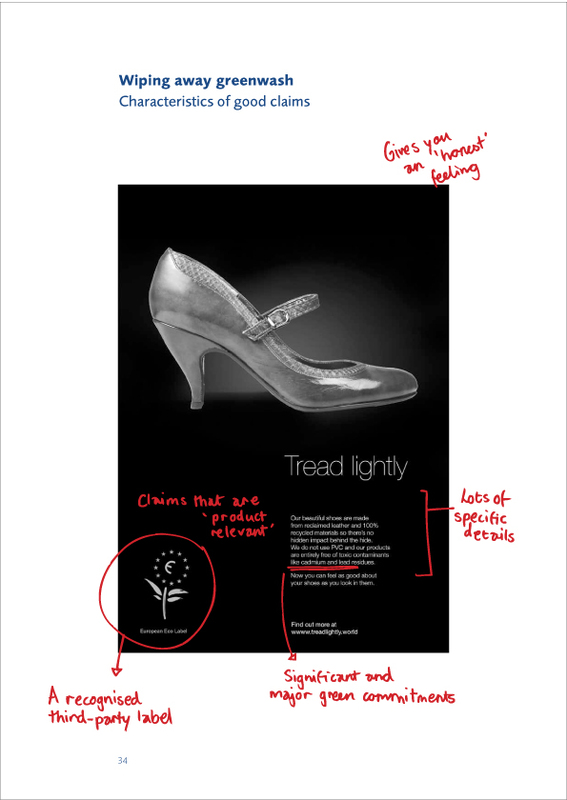 The responsibility for truthful messaging does not only lie with the companies selling these goods and services but also with those of us who help to promote them. So checks against greenwash need to be made at every stage – from client to creative to media outlets (including publications and broadcasters). 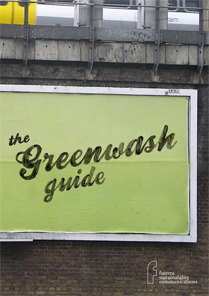 Today Futerra has launched a Greenwash Guide that aims to help communications professionals get their green messaging right. 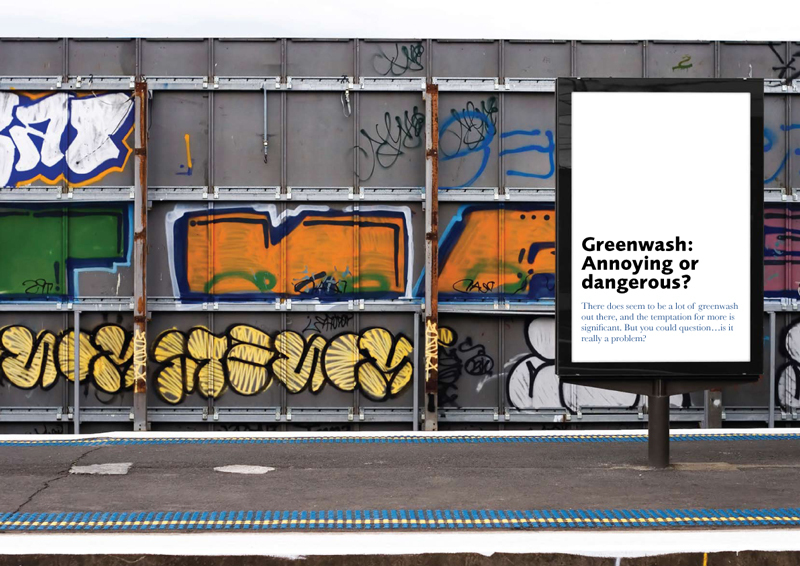 It includes 10 Signs of Greenwash as well as easy steps for companies, communications agencies and the public to help stamp out greenwash. I'm a creative who works in London.